Description: The fortress of Palamidi is a true architectural masterpiece and probably the best castle in Greece and the finest sample of the Venetian fortifications in Greece.This fort was built during the Venetian occupation in the early 19th century and consists of eight bastions, each was self contained, ensuring that if one bastion was breached the others could still be separately defended. The bastions were built one on top of the other and they all connected with one wall. 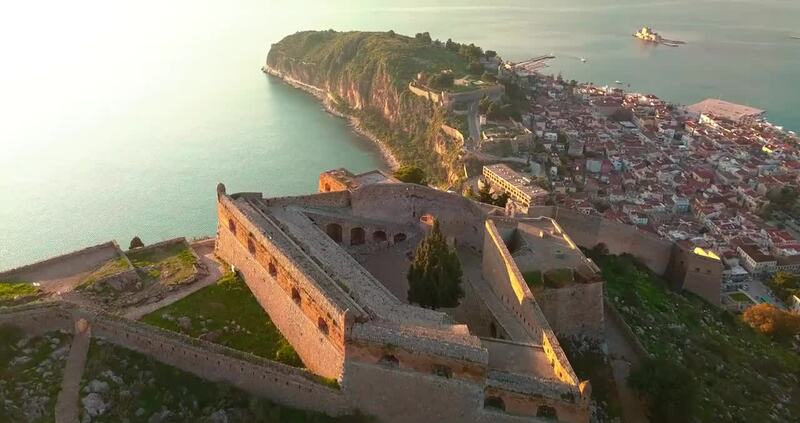 The Venetians named the bastions by ancient Greek names, such as Leonidas, Miltiades, Achilles, Themistocles, to give emphasis on the strenght of the castle.